An 80-year-old Onawa, Iowa, man was hospitalized with burn injuries Tuesday afternoon after an explosion damaged an unoccupied rural Onawa home he owns. The explosion happened about 12:30 p.m. in the basement at 20877 Gum Ave., where Earl Thelander had just plugged in a fan to help vent fumes from a propane line that had been cut in an alleged burglary earlier Tuesday, the Monona County Sheriff’s Office reported. After the explosion, Thelander drove about two miles to his home, where he then was taken to Burgess Health Center in Onawa, said Carol Otto of Onawa, Thelander’s sister-in-law. Thelander was airlifted from Onawa to an Omaha burn unit, where he has second-degree burns over 40 percent of his body, Otto said. He is listed in critical condition. At Burgess, Thelander told his family that he thought “all the gas was gone” prior to the explosion, Otto said. Authorities said they believe the explosion is connected to a cut propane line on a furnace in the basement. The sheriff’s office had been called to the home Tuesday morning on a report of burglary and vandalism, but when deputies arrived, no one was there. No one has been arrested and there are no suspects, said Eric Martin, sheriff’s office dispatcher. The burglar broke a door to get into the home and removed copper waterlines before attempting to take the copper propane line, the sheriff’s office reported. Thelander owns the home, which was vacant, neighbors said. Siding was hanging off the front of the house, which the sheriff’s office said received considerable structural damage. The south wall of the home was blown out and is being held up by two poles, Otto said. Sheriff’s deputies were assisted at the scene by the Onawa Fire Department and the Onawa Police Department. “We’re all praying and hoping everything will be OK,” Otto said. An 80-year-old Onawa, Iowa, man was hospitalized after a rural Onawa home exploded Tuesday afternoon. The explosion happened around 12:30 p.m., in the home’s basement, where Earl Thelander was venting fumes from a propane line that had been cut in an alleged burglary earlier Tuesday, the Monona County Sheriff’s Office reported today. Thelander was then taken from the home at 20877 Gum Ave., by private vehicle to Burgess Health Center in Onawa with burns. Authorities believe the explosion is connected to the cut propane line on a furnace in the basement. The sheriff’s office had been called to the home Tuesday morning for the burglary and vandalism but when deputies arrived, the alleged burglar was gone. No one has been arrested and there are no suspects, said Eric Martin, sheriff’s office dispatcher. It wasn’t known if the home was Thelander’s, Martin said. A relative in Onawa, Sharon Thelander, said she just found out about the explosion and didn’t know how Earl was doing. The home sustained considerable structural damage, the sheriff’s office reported. ONAWA, Iowa — The man hurt in a home explosion last week died Saturday in Omaha. Thelander was hospitalized Tuesday with burn injuries after an explosion damaged an unoccupied home he owns in rural Onawa. The explosion happened in the basement at 20877 Gum Ave., where Thelander had just plugged in a fan to help vent fumes from a propane line that had been cut in an alleged burglary earlier Tuesday, the Monona County Sheriff’s Office reported. Authorities said they believe the explosion is connected to a cut propane line on a furnace in the basement. The sheriff’s office had been called to the home Tuesday morning on a report of burglary and vandalism, but when deputies arrived, no one was there. The burglar broke a door to get into the home and removed copper water lines before attempting to take the copper propane line, the sheriff’s office reported. Thelander owns the home, which was vacant, neighbors said. 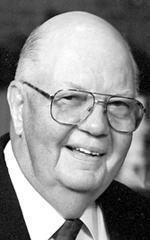 ONAWA, Iowa — Earl Thelander, 80, of Onawa passed away Saturday, Sept. 1, 2007, at Clarkson Hospital in Omaha from burns sustained earlier in the week from a propane explosion at one of his rental properties. Services will be 10:30 a.m. Thursday at First Christian Church in Onawa. Graveside services will be at a later date. Visitation will be 5 to 8 p.m. Wednesday, with a celebration of life service at 7 p.m., at Rush Family Care Service in Onawa. 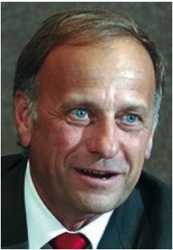 Earl was born May 9, 1927, in Arcadia, Neb., the son of Henry and Amanda (Gestrine) Thelander. He grew up in Polk, Neb. He graduated in Stromsburg, Neb., in 1944. After graduation, he went into the U.S. Coast Guard. After his discharge, he began farming and farmed for several years. On Feb. 3, 1950, he married Berniece Obrist and to this union six children were born. They lived and farmed in the Osceola area until he began working for Mamco Manufacturing Company in Stromsburg. He later transferred to Honeggars Manufacturing Company in Onawa. After they closed, he went to work for Onawa Propane and in 1967, started his own business, Thelander’s Plumbing and Heating in Onawa. 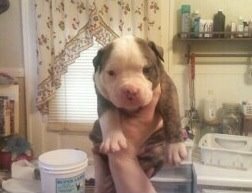 He was blessed to have his entire family involved in the business. On Dec. 30, 1982, he married Hope Ewing in Onawa. They lived in Onawa, where he enjoyed doing yard work, gardening, watching the birds and squirrels on his back deck and his “coffee time.” The couple owned and operated Thelander’s Softener Service and Thelander’s Rentals. They owned the Monona Hotel and the Park Hotel and many other rental properties over the years. He was a member of First Christian Church of Onawa and helped with Boy Scouts, when his sons were younger. He enjoyed spending time with his family and was also loved by the entire community. He will be greatly missed by everyone. He is survived by his wife of 25 years, Hope Thelander of Onawa; six children, Doug Thelander of Castana, Iowa, Byron (Sharon) Thelander of Onawa, Vicki (Otis) Gray of Onawa, Cindy (Doug) Miller of Sioux City, Gaylen (Ruthie) Thelander of Madera, Calif., and Brad Thelander of Sergeant Bluff; five stepchildren, Kim (Jon) Berens, Jody (Dennis Ryan) Ewing, Lori (Steve) Mathes, Kysa Ewing and Brett (Deb) Ewing, all of Onawa; 22 grandchildren; 13 great-grandchildren; four sisters, Betty (Clarence) Nielsen of Stromsburg, Neb., Darlene Gordon of York, Neb., Jean Twarling of Sidney, Neb., and Wanda (DeLano) Ahlquist of Loveland, Colo.; three brothers, Doyle (Gina) Thelander of Lincoln, Neb., Darwin (Sarah) Thelander of Peel, Ark., and Dean (Ginger) Thelander of Harrison, Ark. ; and numerous cousins, nieces and nephews. 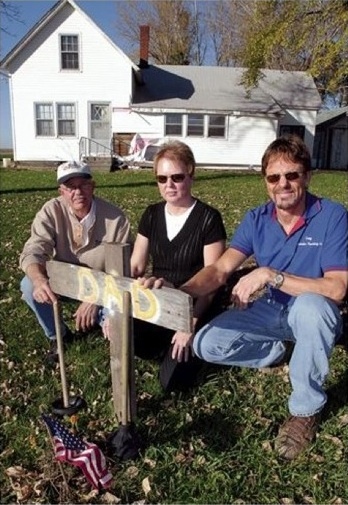 He was preceded in death by his parents; a grandson, Bobby Gray; his father-in-law, Raymond Archer; a sister-in-law, June Ooten; and three brothers-in-law, Hal Gordon, Glenn Twarling and Dan VanWinkel. VERMILLION, S.D. — A unique kind of darkness has been invading rural areas in recent months: urban mining. Thieves, who generally perpetrate their crimes under cover of darkness, have been stripping isolated farm places and sometimes homes in small towns of copper wire which they sell to area scrap metal dealers. Concerns are mounting that thieves are not only risking their lives and causing thousands of dollars of damage to homes and businesses, but they also are endangering the lives of others. 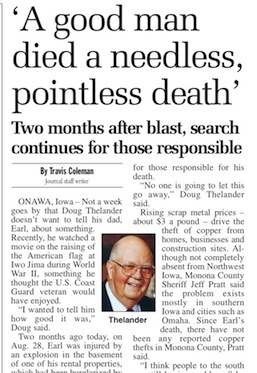 The recent death of Earl Thelander, an 80-year-old Onawa, Iowa, man, who died from injuries suffered in an explosion that followed the removal of copper gas pipes coming into a house he owned validates those concerns. Leo Powell, operations manager for Clay-Union Electric Co-op at Vermillion, wonders if thieves in southeast South Dakota have at least some knowledge of how electrical power works. 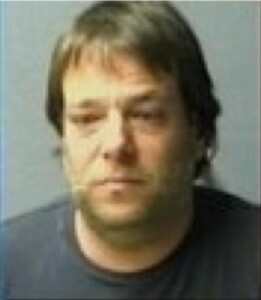 Powell cited the instance of a Kansas man who broke into a substation and was electrocuted because of his lack of knowledge about how electrical lines work. Powell recommended that farmers be cautious if they find an isolated farmstead suddenly without power. In some cases, thieves leave dangerous situations behind when they dismantle electric poles and transformers. It’s been about eight years since copper theft was an issue in southeast South Dakota. Rising copper prices drove the thefts then, just as they are now. It’s not uncommon for thieves to steal as much as half-a-mile of copper wire. In some cities, they steal copper elements from air conditioners. They begin at the end of a block and steal the same components from every homeowner on the block. Their actions don’t net them large sums of money; however, the damage they cause can run into thousands of dollars for homeowners and businesses.